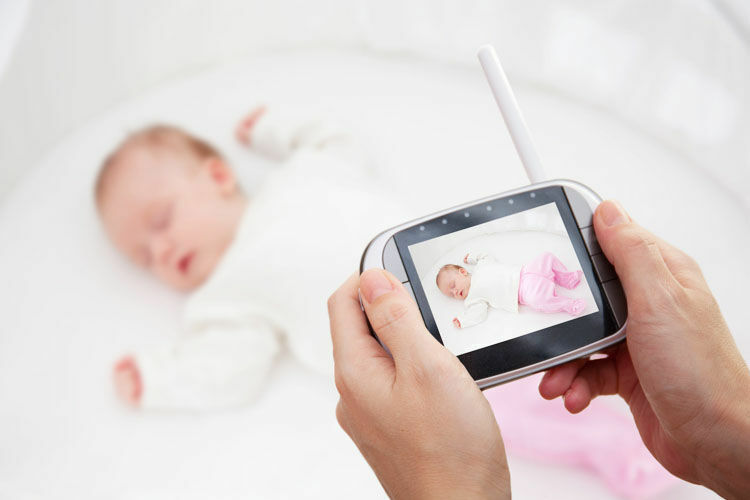 Your first doll pram is virtually a rite of passage into the wonderful world of pretend play. 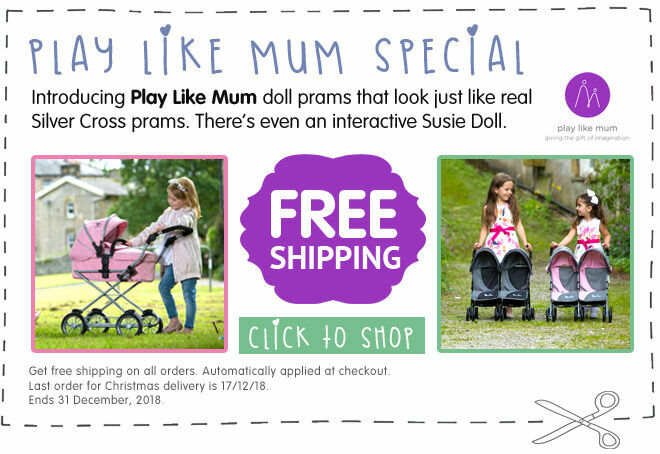 A delightful afternoon tea in the garden or a simple stroll to the local shops – whatever it may be, your babe’s new bae needs the doll in pram for the great adventures to come. 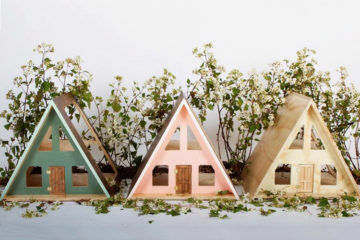 From super simple doll strollers to luxe toy prams, here are 13 doll prams for pretend play. 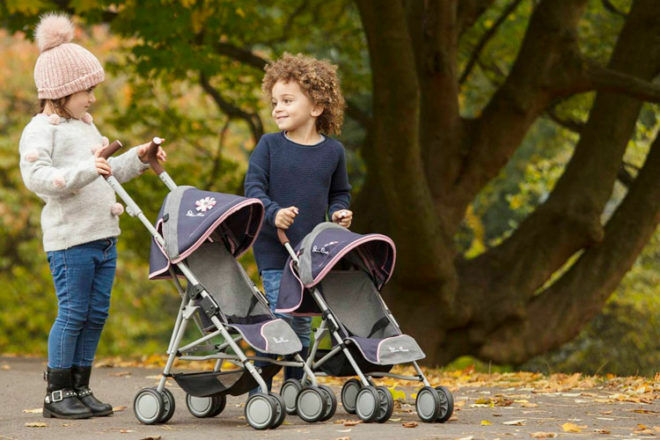 Sleepover Travel System Dolls Pram ($169): Stroll in style and play like mum with the sophisticated Sleepover dolls pram. 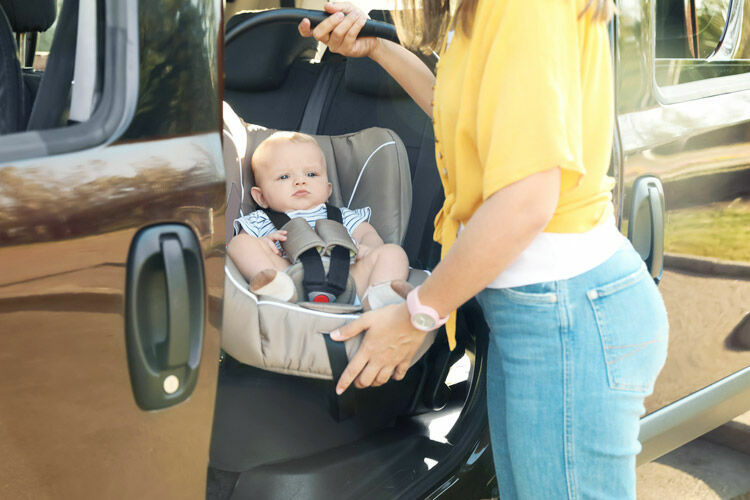 It’s got multiple configurations to keep little ones busy, plus the quilted grey fabric and luxe cream trim give a sleek finish just like the real Silver Cross prams. 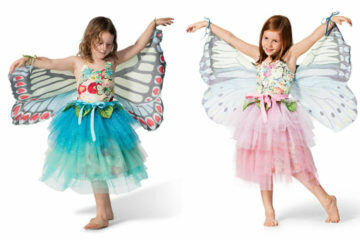 OFFER: Free shipping on all orders at Play Like Mum Australia. 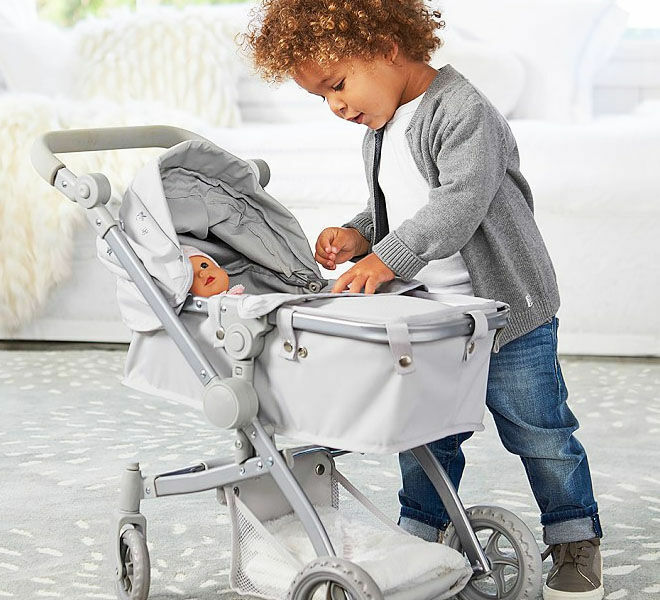 Pottery Barn Kids Grey Stars Doll Pram Stroller ($129): Complete with sun-shade, storage basket and sturdy wheels for pushing to the park, this doll pram gets a gold star for details. 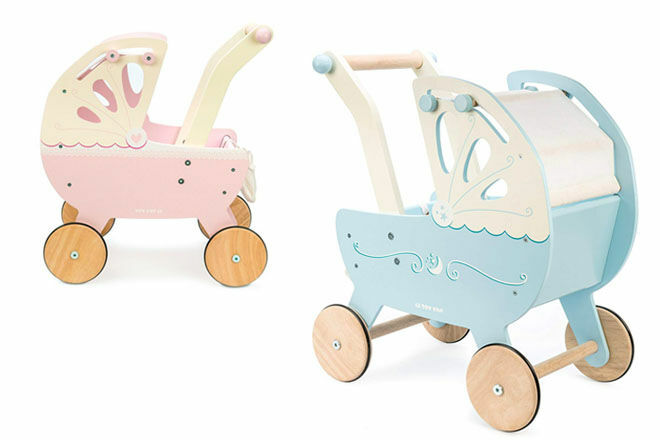 Audrey Dolls Pram ($259.99): A whimsy rattan carriage sure to spark their imaginations. This handmade dolls pram can withstand the rough and tumble of play and be something they can cherish for years to come. 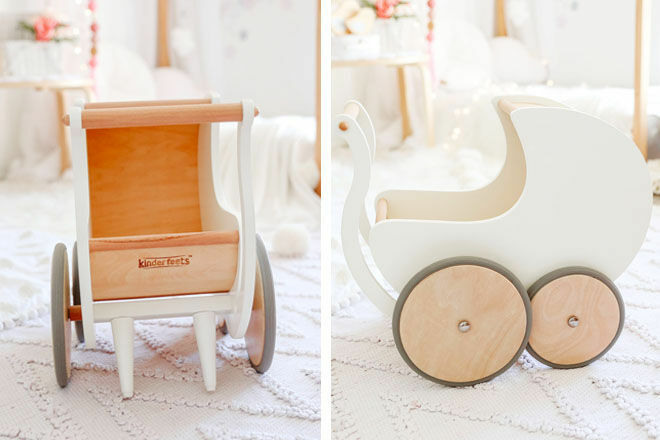 Bloomingville Mini Toy Pram ($149.95): A charming little carriage that’s as clever as it is cute! The wheels are covered in rubber so the doll pram stays nice and quiet while rolling to the next adventure. 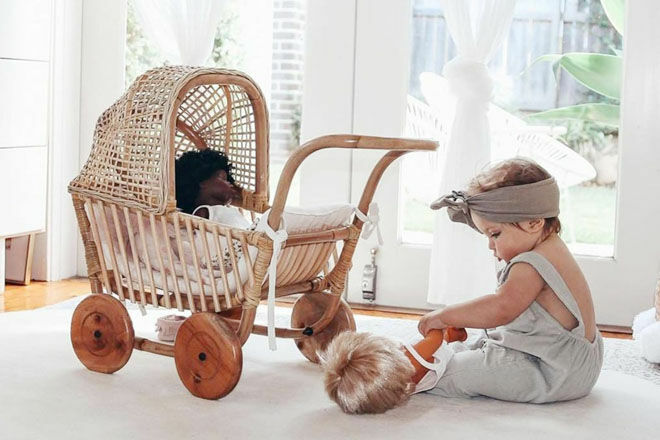 Lilu Wicker Dolls Pram ($245): Pretend play doesn’t get much better than the Lilu dolls pram. 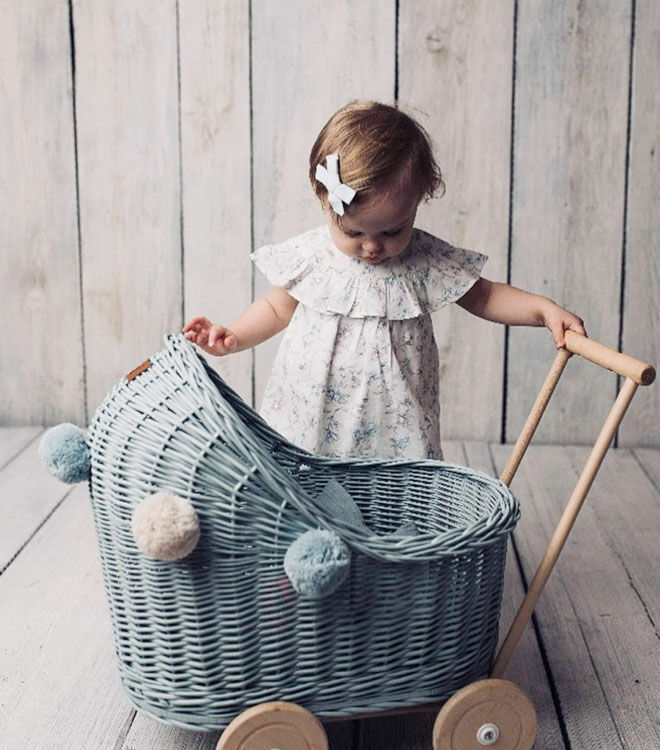 Handmade in Poland, these adorable wicker prams come with a soft cotton mattress, quilt and pillow for dolly, plus pretty pom poms for sweetness. We’re in love! 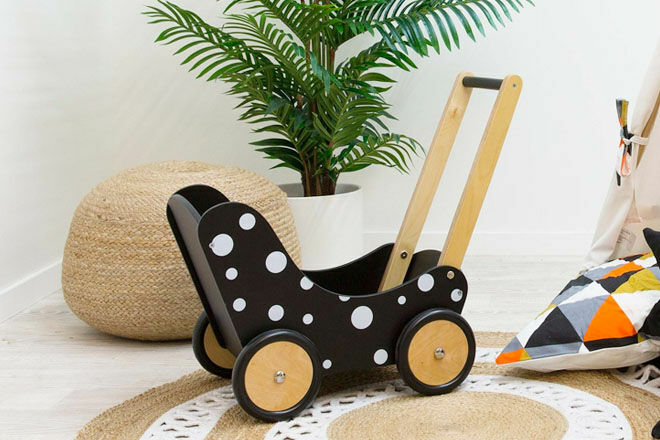 Ooh Noo Toy Pram Blackboard ($259): Pretend play meets personalisation with the uber-cool blackboard toy pram. 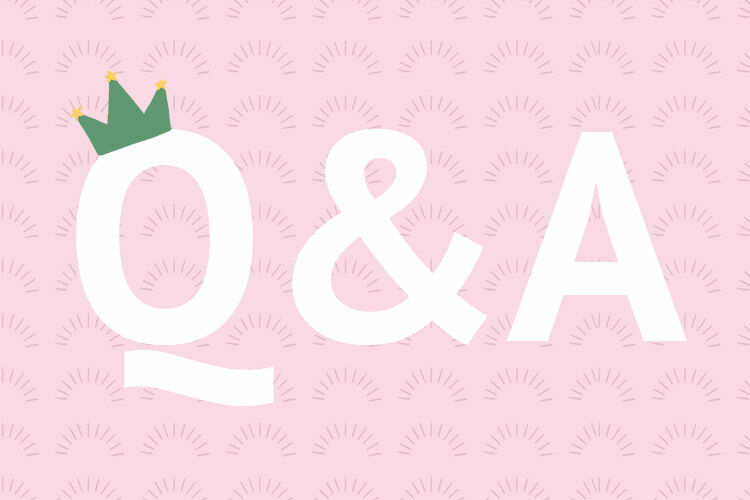 Kids can strut their stuff with dolls in tow before scribbling a new drawing for the day. Kmart Stripe Doll Stoller ($7): Take to the streets and transport dolls in a candy coloured caddie! Ideal for outdoor play, the lightweight and foldable doll stroller is an absolute steal for under $10. 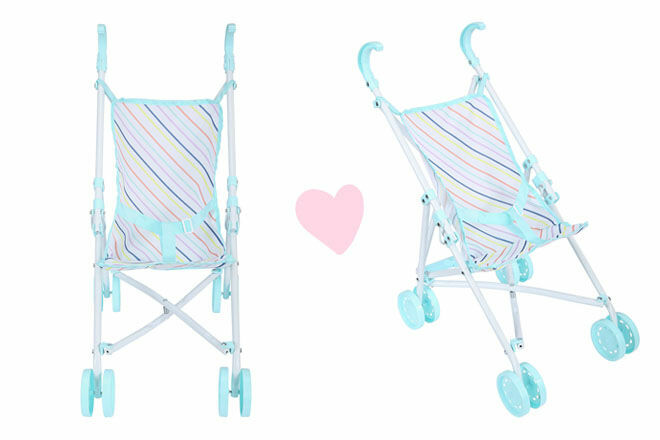 Moover Doll’s Pram ($129.95): Strong and sturdy, here’s a stellar pram for your little one’s pals. The award-winning design features rubber-lined wheels for traction, a wide handle for easy grip and love-heart cutouts for cuteness! 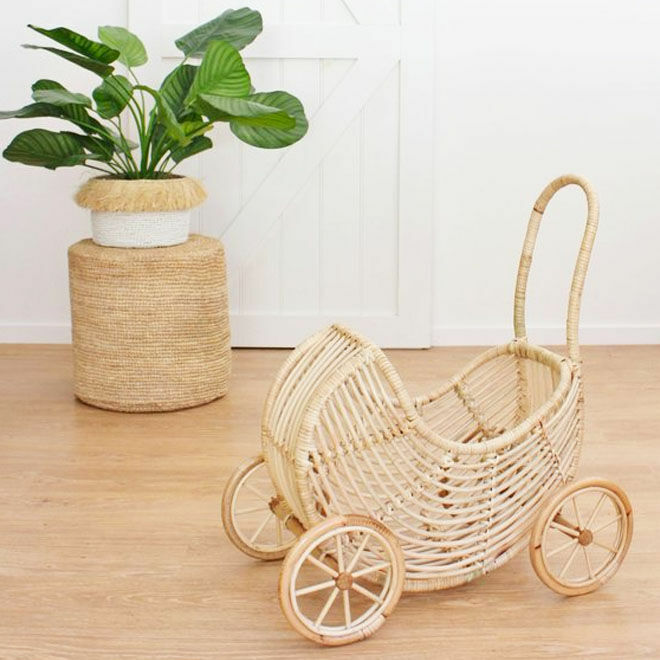 Koko Collective Rattan Pram ($190): A gorgeous dolls pram, handmade with love and care. The rattan pram glides beautifully from nursery to kitchen and back again – a treasured piece for any toy collection. 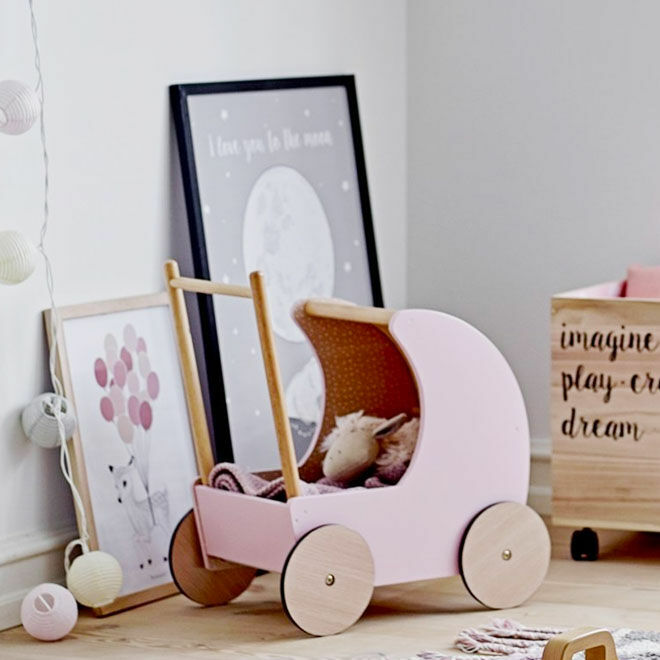 Le Toy Van Honeybake Moonlight Pram ($159.95): A traditional style pram with all the bells and whistles any little wonderer could hope for – think adorable change bag, patterned mattress and retractable canopy. Tick, tick, tick! 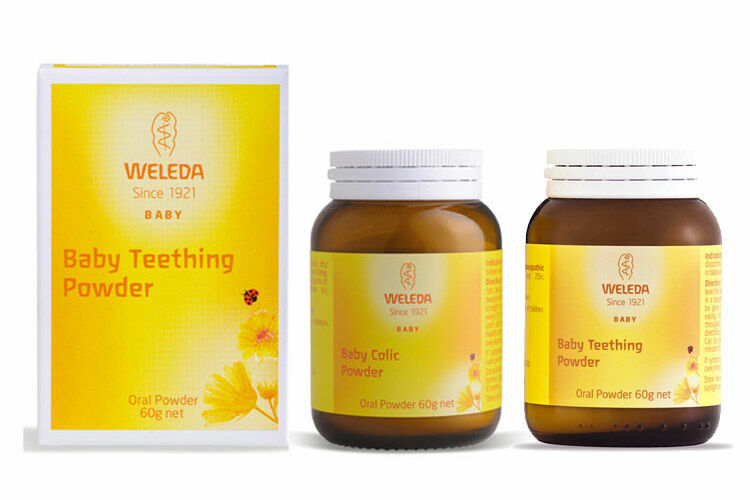 Kinderfeets Walker Pram ($169.95): It’s the genius toy pram thoughtfully designed for babies and toddlers. Stabilizing pegs sit neatly behind the back wheels and can be removed once tots are steady on their feet. 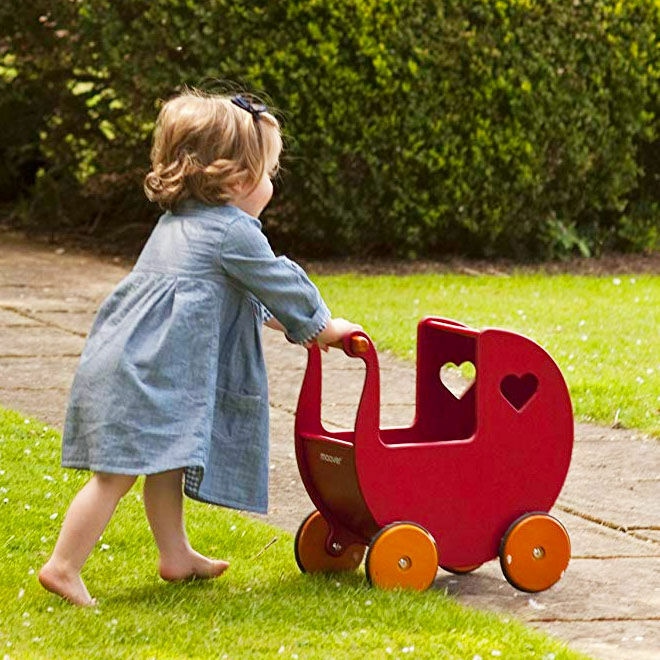 The wooden walker then becomes a dedicated pram to push and play! 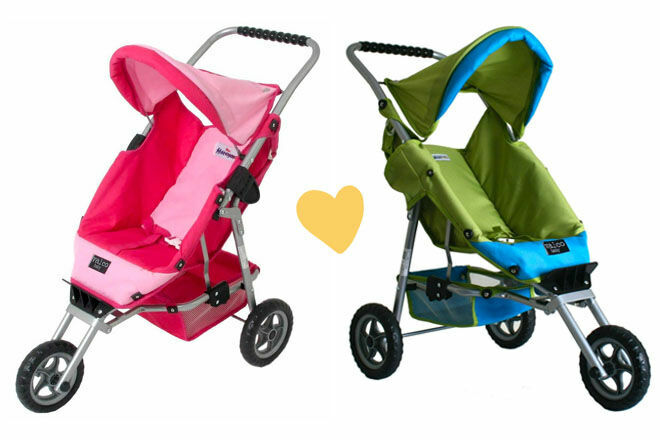 Valco Baby Marathon Doll Stroller ($97.49): Go from rolling to racing with a super sporty pram for dolls and toys. Available in two bold colourways, this speedy little number is ideal for tykes with energy to burn. 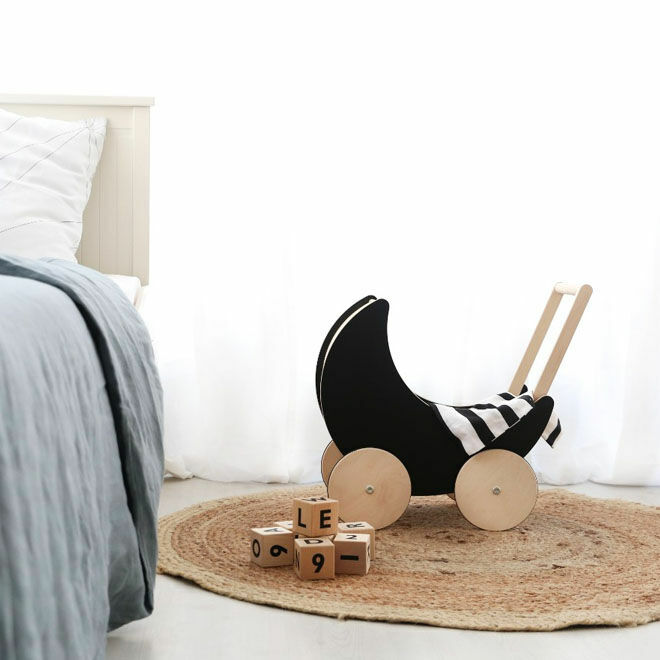 Mocka Moova ($69.95): A classic dolls pram with a contemporary twist. 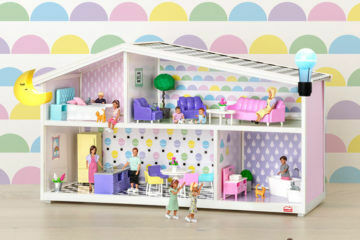 There’s plenty of room for dolls, toys and cheeky snacks from the kitchen – pushing and pulling is hungry work after all!